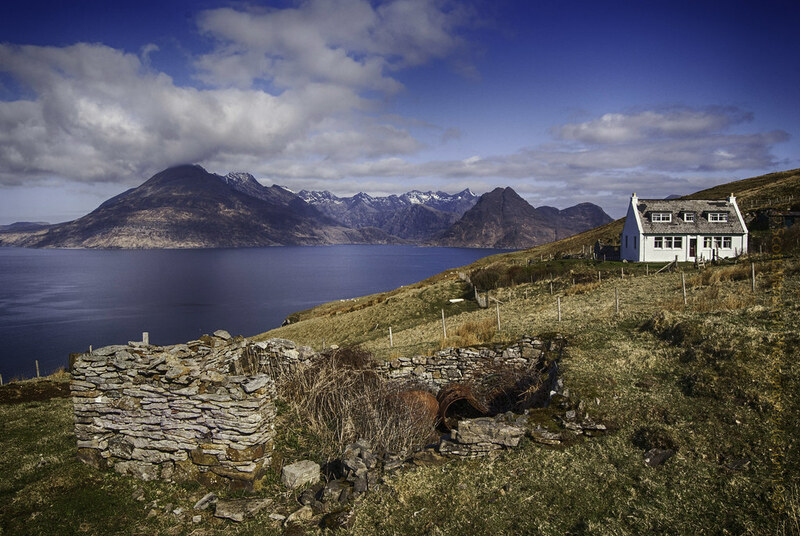 Beautiful seaside village that looks into the Cuillin heart as well as out to sea. Elgol lies at the the end of the B8083 and is a trip there an back but offers a few rewards: outstanding views towards the Cuillins (perhaps the best) and wonderful sea views out towards the northern inner Hebrides. If you want ot take a trip to see it all by boat, this is the place to start (see below). 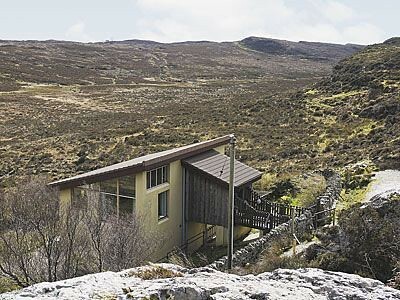 You can also continue on a small road towards the crofting village of Glasnakille which faces East towards the mainland. The Elgol Shop sellss both tinned goods and also local stuff. The only public transport is the Postbus from Broadford, which runs twice Mon-Sat and once on Sun, and takes 2 hrs. For details of boat trips on the Bella Jane, Tel. +44 (0)1471 866244; to book Tel. 0800- 7313089 (freephone). Return boat trips take 3 hrs, including about 1 hrs ashore. You should be able to see seals and porpoises en route. There's also a one-way trip for experienced walkers/climbers who wish to make the return journey on foot or to explore the Cuillins. There are also trips on the Nicola, Tel. +44 (0)1471 866236. 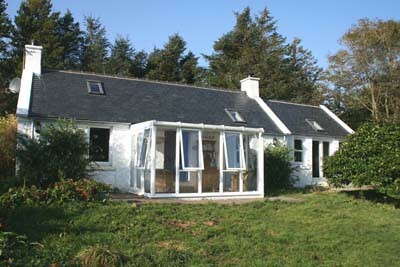 Trips to Rùm or Canna.